Give the gift of beer this year! Beer and Gear Gift Packs available-all priced 10-25% off retail prices. 25% off cook sets, stoves, cookware, and Kleen Kanteen products. Classic Cuts: Retail on Sale - clothes, products & jewelry! Compass Rose: Spend $50, receive a free $10 Gift Card! 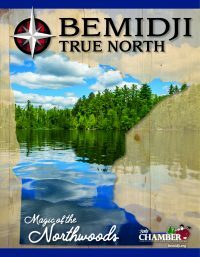 Gallery North: Original art by local artists, discounts on many items, some 50% off! Harmony Foods Co-op: Every week is a chance to win a gift bag valued at $50 filled with goodies from Harmony! Headwaters Science Center: 10% off when you mention the Holiday Gift Guide (cannot be combined with other offers). 10% off all Kitchenaid countertop appliances: mixers, blenders, toasters, knives, and more! All Christmas fabric 30% off ; All Halloween fabric 30% off; Tell Santa about our Gift Certificates! Keg N’ Cork: For every entrée purchased, get a complimentary cup of soup! Tutto Bene: Purchase a $100 Gift Card, receive a free $20 Gift Card! 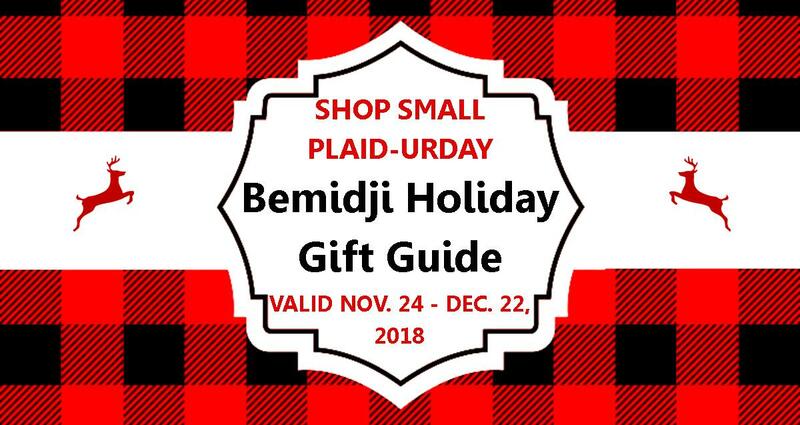 For every $100 of Gift Cards purchased, we will donate $20 to Bemidji United Way.